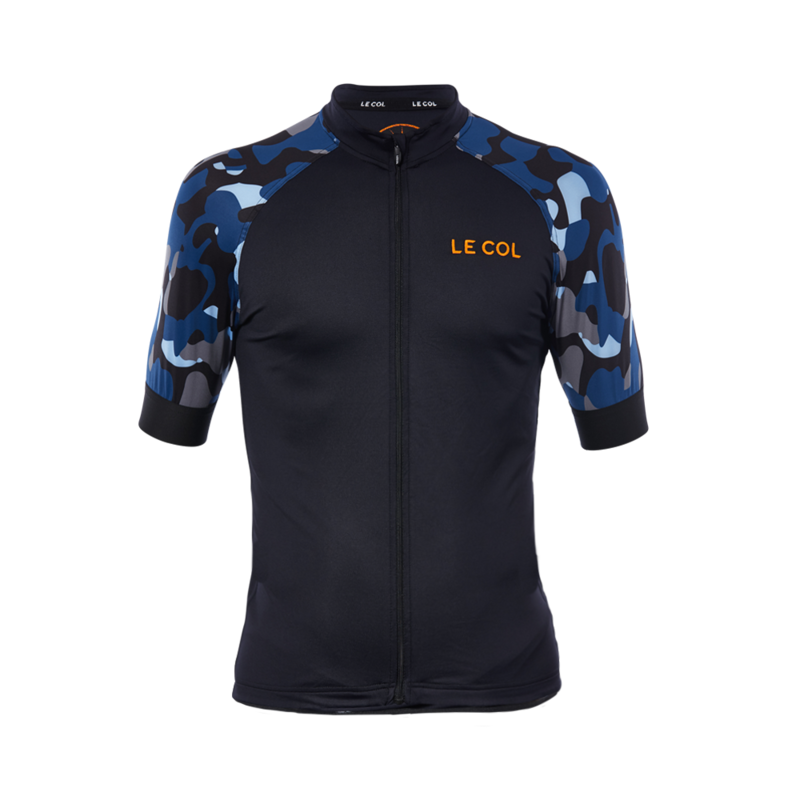 IT’S NOT often that we tell you to hurry up and buy something quickly, but given the fact that Le Col’s Pro Jersey – with a rather dashing blue camo pattern on the arms, we might add – is currently on sale, then you’d be foolish to miss out on saving yourself a few quid. Sure, you’ll only be saving less than £20 off the normal retail price, but a bargain is a bargain and this particular jersey has enough features to ensure it will remain top of your pile in terms of kit choice for many, many years to come. 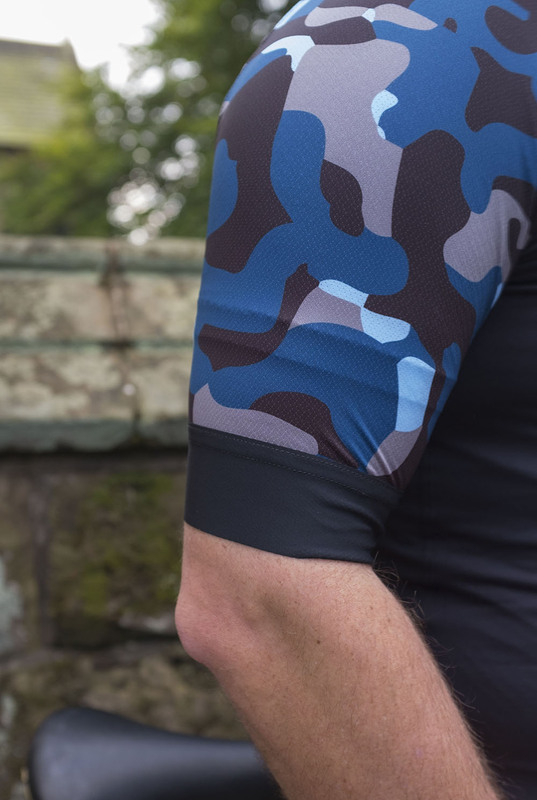 Sales pitch aside, this is billed as Le Col’s fastest cycling jersey and has been developed and proven in the pro peloton for more competitive on-the-drops position. Not only that, but they also claim it’s the most aero jersey they’ve produced and has been designed for high performance. Now, we haven’t some fancy lab to test out these claims. Our budget consists on yours truly heading out into the great outdoors – inevitably into varying weather conditions of West Lancashire – so lets get down to brass nuts, if you pardon the phrase. Le Col claims that the Pro Jerseys utilises a combination of fabrics for a lighter and sharper aero fit for those riders focused on speed and a more aggressive ride. Now, I am neither speedy or aggressive – unless it’s trying to get to the front of the queue in the café – but the fit is exceptional without being restrictive and, more importantly, didn’t make me look like a fat bloke trying to squeeze into kit borrowed off a skinny clubmate. The 2017 edition of the Pro Jersey features a longer sleeve than normal, which is on trend for a lot of race jersey design this season. 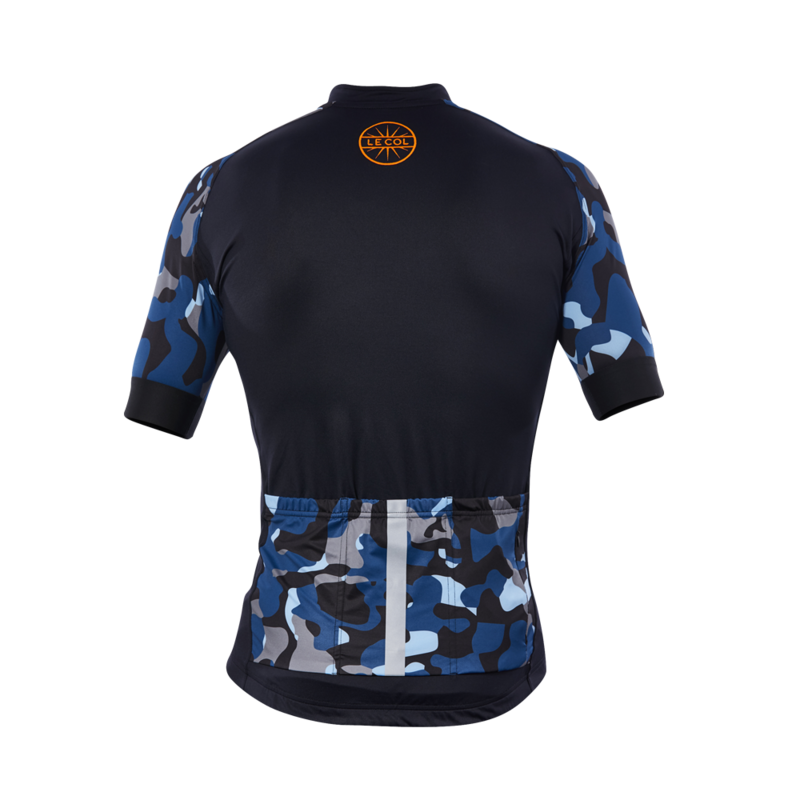 Le Col have also upgraded the material on the sleeves to a lighter Borgnini fabric in order to keep you cool at higher riding intensity. They’ve also included some sizeable grip patches on the inside the sleeve, which means they won’t ride up. On the subject of sleeves, Dan and I discuss this – pardon the pun – at length on many training runs. Many manufacturers produce jerseys that have sleeves either too long, too short, too tight and too baggy. Goldilocks and The Three Bears syndrome aside, very few manage to nail the sleeve length and get everything just right. 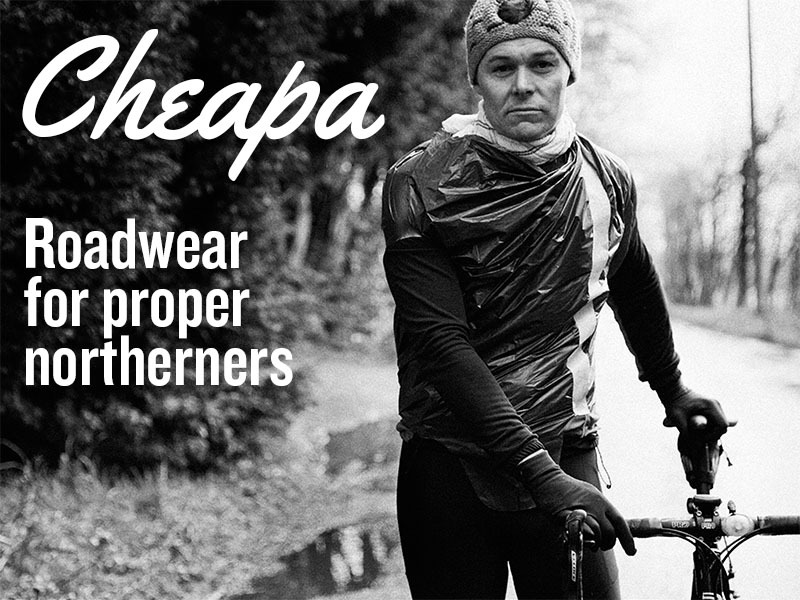 Especially when it comes to so-called ‘aero’ jerseys. Thankfully, this is something else that Le Col have come up with the goods for the Pro Jersey. We’re big fans of what they do and have reviewed some of their other ranges in the past. Each and every time, they’ve kept it simple yet stylish, while pouring it on in bucket-loads when it comes to the function and technical design. 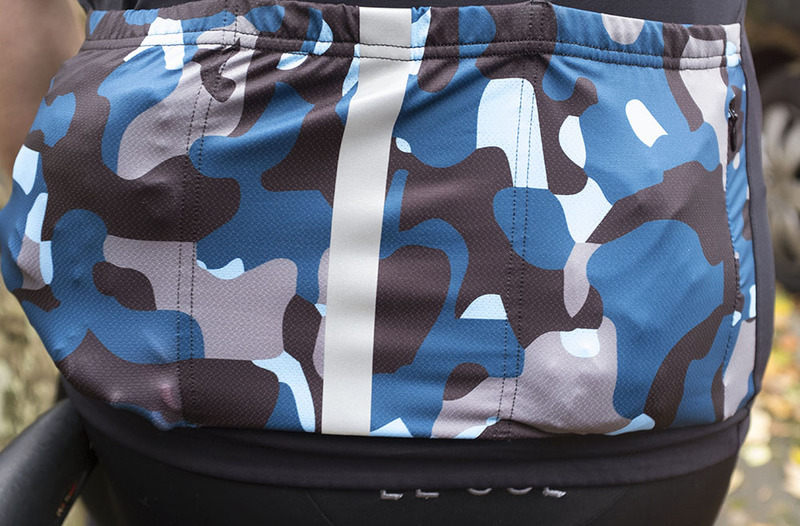 On the inside of the Pro Jersey, the seams are flat-locked with covered edges for the collar and zip guard. It also features a quality lock down zip puller for ease of use at high speeds, as well as a silicon gripper at the waist hem to hold the aero jersey firmly in place. 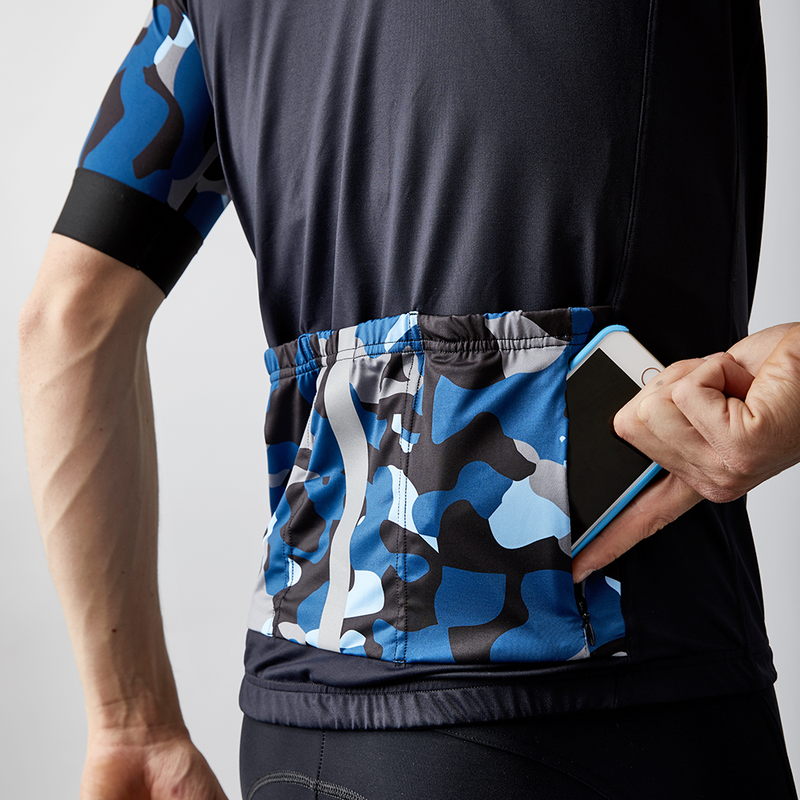 There is even an ergonomic cut on the collar – aka it’s a bit shorter than most other jerseys – to remove bunching of fabric while in a fast riding position. For the likes of myself, this is a welcomed feature. 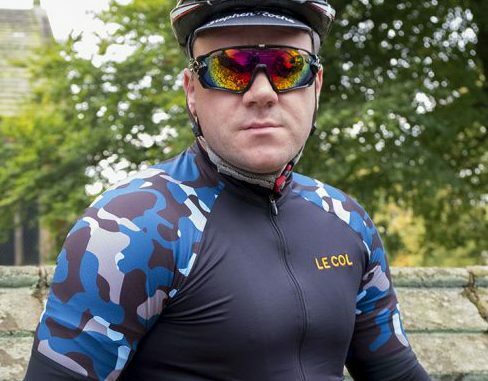 Given that the Pro Jersey is aimed at those probably racing or riding in warmer conditions, a shorter collar means that you don’t get rather hot under it – sorry, couldn’t resist – and doesn’t make you look like you’ve got am extremely short neck. Additional features include a fourth ‘hidden’ waterproof security pocket on the back, which are also nice to have to store that cash for the café or a set of keys. Le Col’s logos are beautifully embroidered on both the chest panel and on the back. Plus, there is also a distinctive reflective stripe for safety on the back of the middle pocket. Now, this isn’t going to substitute for a decent set of lights, but any sort of safety feature worked into jersey designs are always welcome. So, what’s the final verdict? Well, this is a jersey that could be used for both racing and on clubruns. 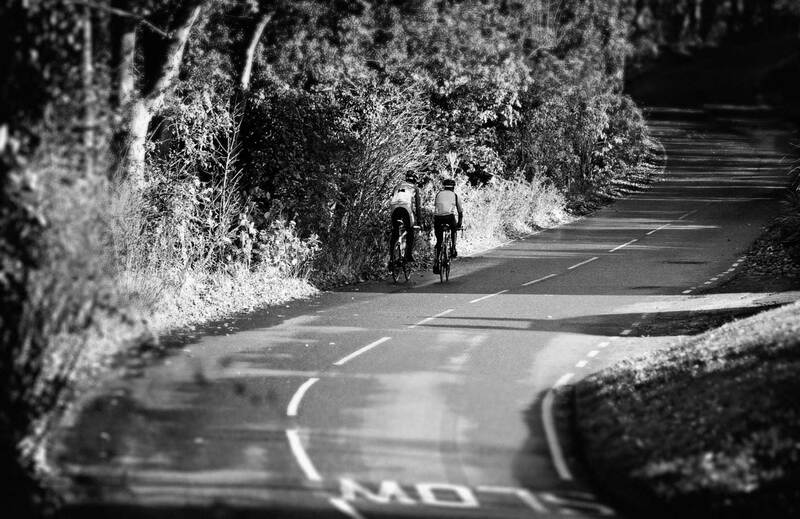 Although it’s probably better suited to warmer weather – not that we have many of those this year – paired with a decent base-layer and gilet, you could probably get away with it during the milder autumn months. Considering this is currently one of many items on sale at the min over on Le Col’s website, you could pick up some serious bargains by planning ahead and stocking up for next year. 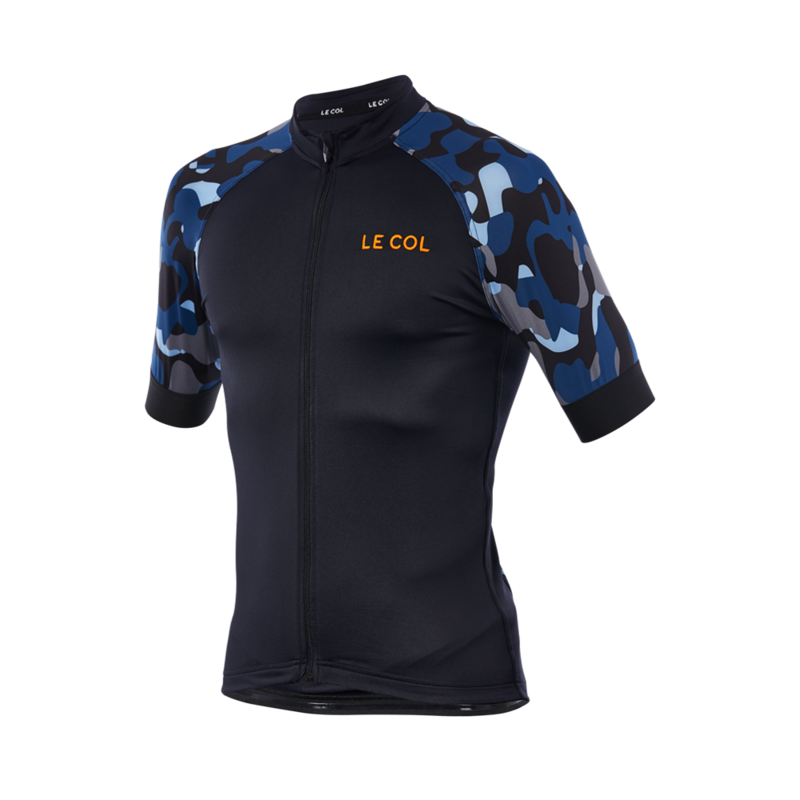 It’s a great looking jersey, but then we’d expect nothing less from Le Col.